The moment you've all been waiting for has finally arrived... kind of. The “world’s first 5G network” is officially live today... but only in select homes across “parts” of Houston, Indianapolis, Los Angeles, and Sacramento. While the first 5G-enabled smartphones (and 5G-enabling Moto Mod) are still a few months away, this is definitely a momentous occasion for Verizon, which not only managed to beat its US rivals to the commercial 5G punch, but every single internet provider around the globe as well. Of course, it’s going to take years and years for the full 5G potential to be realized in terms of both speed and coverage. 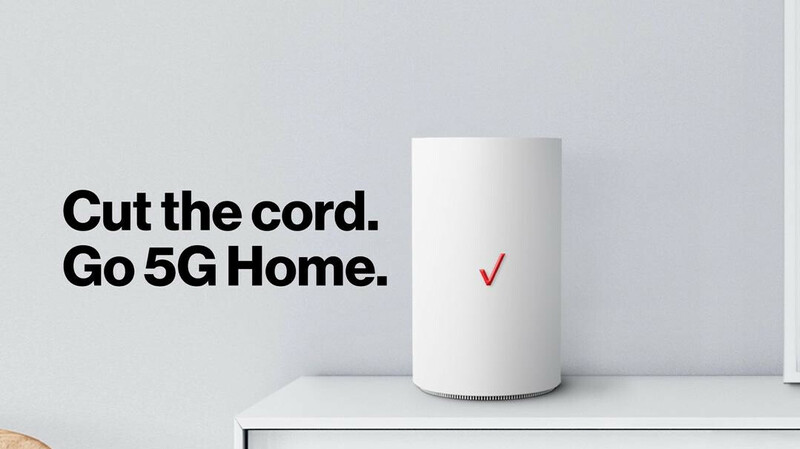 For the time being, Verizon can merely deliver 5G Home speeds of “about” 300 Mbps, throwing in a few exclusive perks to convince early adopters the upgrade is worth it. “First on 5G” members get free service for 90 days, a complimentary Apple TV 4K or Google Chromecast Ultra, and three months of YouTube TV access at no charge, having to pay $70 a month for a 5G Home subscription after the first three months or $50 if they’re already Verizon customers with $30 and up phone plans. That’s really not a bad introductory deal, and Verizon is further offering gratis installation and equipment, as well as exclusive access to a 24-hour concierge line to answer any questions in a timely fashion. A resident of Houston named Clayton Harris had the honor of becoming the world’s first 5G customer, but if you haven’t signed up to join the “First on 5G” club in Houston, Indianapolis, Los Angeles, and Sacramento, you can still do so by visiting a special section of Verizon’s official website. I do not think it is a good decision. The first crop of 5G phones will have their share of problems like limited Band support so you wont be able to use it in many carriers. It is better to upgrade this year and ignore next year or just buy 5G phone after 2 years when they are more matured. The first crop of 5G phones will have a 4g/LTE fall back so they will still work fine, you just wont have very many areas where you get 5G coverage. I have been upgrading every year. IMHO the best way to go for example my Pixel 2 XL 128 is paid for and still worth $475 so if i buy a new pixel for $850 the difference is only $375 or $31.25 per month for 12 months. If i wait 2+ years my current phone is worth very little. If i would have kept my Pixel XL its would be worth $175 but I would have paid about the same monthly payments as the P2 XL. Because phones still retain a high resell in the first 12-18 months you are best to be an early adopter and sell when the new one come out. Best part about this service is that there is no charge for equipment. Verizon would be installing extenders for the entire home free of cost. So its a great deal for $50. So practically, a phone connected to a home Gigabyte landline through wifi can be 2 times faster than this so called 5G? Probably, though hardly anyone in the US has gigabit (nobody has gigabyte) access anyway. This will likely provide true broadband access to a lot of people who never have before. You're right: it's gigabit. Why does US hardly have gigabit speeds? If it's $50 with no promo pricing or contracts (ie. works with a prepaid phone combo), and uncapped downloads then it's a nice deal.